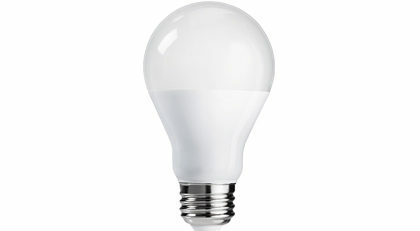 Using LED lighting in your home, rental property or business conserves energy and saves you money. LED (light-emitting diode) bulbs use about 75% less energy and last 15 to 20 times longer than incandescent bulbs. ENERGY STAR®-certified fixtures and bulbs provide the same amount of light as incandescent or halogen bulbs while giving you a true and natural color without the flicker or noise of traditional bulbs. You receive an instant rebate at checkout when they buy any ENERGY STAR® LED bulb or fixture with a Tacoma Power sticker on it at participating stores. You do not need to fill out any forms, you simply save at the time of purchase. On average, lighting accounts for 20-40% of the total electric bill for rental properties, so installing energy-efficient LED bulbs can help you save money on your electric bills and use less energy. Get $5 per bulb to replace your incandescent bulbs with LED lights (minimum 665 lumens) in tenant controlled interior and exterior areas. 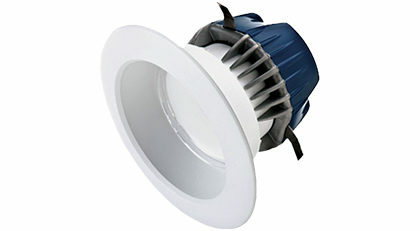 Get a rebate for upgrading the lighting in common areas, hallways, parking lots and clubhouses. Use our Bright Rebates Calculator to determine your exact rebate amount. To potentially save even more money, schedule a free energy assessment with one of our energy efficiency specialists. These on-site visits can help identify cost-effective improvements for individual units and common areas. We can also answer your questions, provide a list of participating contractors and help you develop an upgrade plan that best meets your needs and budget. To schedule your assessment, contact us at (253) 502-8363 or rebates@cityoftacoma.org. Updating light bulbs and fixtures is a cost-effective way to save money and energy at your business. Along with the monthly savings you will see on your utility bill, our Bright Rebates Program can reduce the total cost of your lighting upgrade project by up to 60%. Learn more about your commercial lighting options with our Lighting Guide. For more information about the Bright Rebates Program, contact us at (253) 502-8619 or BrightRebates@cityoftacoma.org.